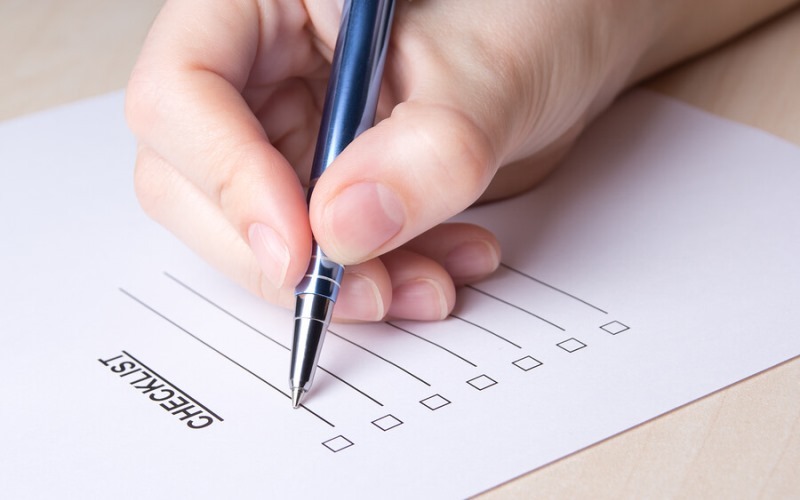 Moving Checklist • To Do List For Relocation • When & How to Prepare? Having a detailed plan is key to being prepared. Make note of everything you could possibly need for packing, moving and once you’ve moved. Go through everything thrice to ensure that not a single detail is overlooked. Also, be sure to have a detailed schedule of how you want everything to go down, such as when the packing should start and what needs to be sorted out on what day. It will help ease your mind when you know what’s going to happen when. However, if things don’t go the way you planned, don’t freak out – just be flexible and you will be able to make it work. Carefully plan your budget and take into account all possible expenses. Are you going to hire professional movers or are you going to move all the stuff yourself? If that is the case, make sure to get a direct email from the moving company for a quote. Set aside money for the packing supplies listed above and always be sure to have money in case you want to order food. This is because cooking while moving can add to more stress. Keep lists of everything – the things you’ll be bringing, the people who will be working with you, the things you need to do and the money you’re going to spend. Trust us when we say that this is going to be a huge help and you’ll be glad you did it. The most helpful it’s going to be is when you start going through your inventory. Be sure to moving list down all the things included in the next few tips we’ll be discussing with you. Don’t skimp out on this important reminder! As mentioned, make note of everything you need for packing. Things such as boxes, packing tape, scissors, newspaper, bubble wrap and the like – these things cannot go unaccounted for. It’s important to sort out the things you need from the things you simply want but serve no purpose. This is going to take the most time out of everything, as you need to sort through all of your things and sort them into three piles: Keep, Toss and Sell. Be ruthless about this, as you don’t want to be bringing anything that would just cause clutter in your brand-new home. A general rule is that if you haven’t used it in the past year, you either throw it or you sell it. Make a relocation checklist of everything you put in the Keep pile so you can go through it a few days before the move. Keep these separate from your general inventory because this is a whole different topic. We’re talking about filing all school records, medical records and the like. Be sure to fill out a change of address form at your post office or online and make sure you keep a hold of all your moving papers to avoid problems concerning them. If you chose to hire professional movers, be sure to have a physical copy of your email exchange so you don’t have to check your phone for details about it. For some of us, the amount of clothes we have is a drastically different number from the amount of clothes we actually use. This, again, causes nothing but a cluttered home, or in this case, a cluttered closet. When it comes to deciding if clothes go in the Keep, Toss, or Sell pile, you have to be even more ruthless. This is because we know how the thought “I might use this in the future” will forever plague us. However, if you haven’t used it in a year, it is unlikely that you will ever use it. Wouldn’t it be nice if all you had to do was pack up and go? Unfortunately, that’s just not how it’s going to go down. There may be tearful goodbyes from the people dearest to you, especially if you’re moving to another state or country. Be sure to inform your closest friends, your family members, your bosses and whatnot. The only positive thing about this is saying goodbye to the people you’ve always wanted to say goodbye to. In times of stress, it’s important to take a step back and take a deep breath. Don’t try to multitask because that’s sure to drive you crazy. Do things one at a time, one day at a time. Remember, hitches that come along aren’t going to last your whole lifetime and imagine how relaxed you’ll be after the whole move is over. Try to enjoy the move as well as the packing. After all, you wouldn’t want your last few moments in your old home to be negative and draining. Recheck all the lists you have made before the start of the move to ensure that everything you are bringing with you is there and ready to be moved. Double check all the boxes to make sure that the tape is properly settled and all the things that have to be there are present. Without a doubt, moving is going to be a stressful time for both you and your family members. However, there are things you can do to make it easier for you. For one thing, this moving checklist will help you prepare for your move and help ease the stress.